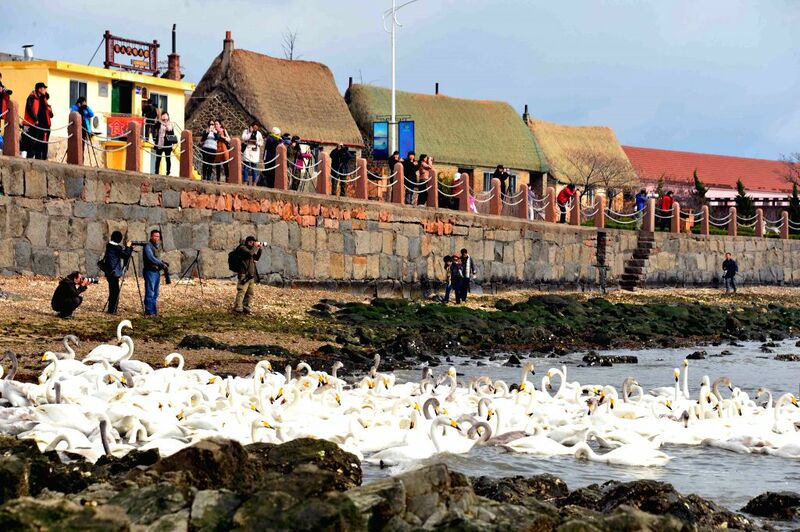 Rongcheng (China): Tourists take photos of swans in Rongcheng, east China's Shandong Province, Nov. 28, 2014. 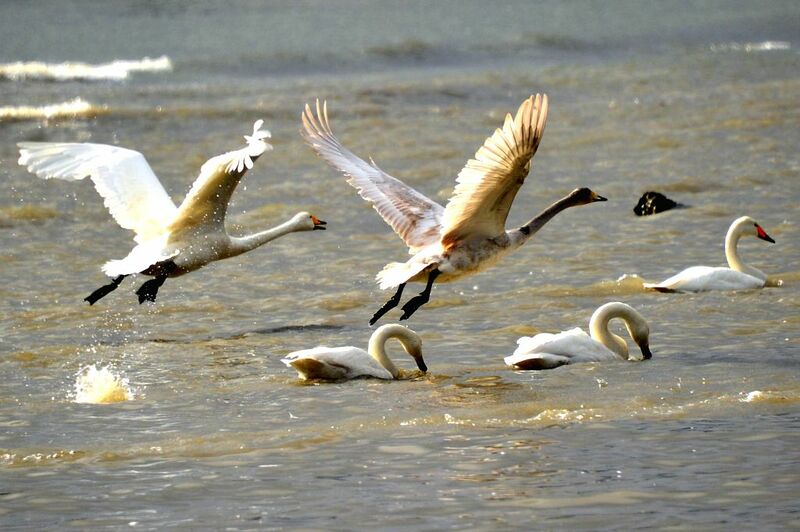 Several tens of thousands of swans migrating from Siberia converged in Rongcheng to pass the winter recently. 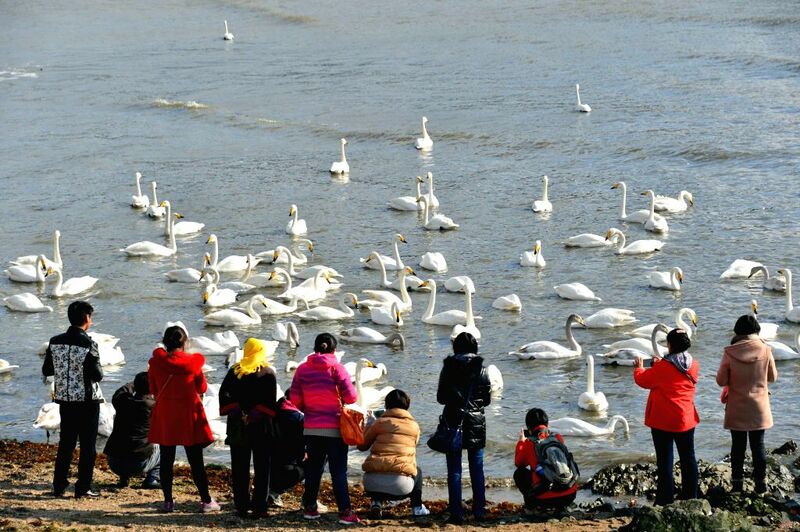 Rongcheng (China): Tourists view swans in Rongcheng, east China's Shandong Province, Nov. 28, 2014. Rongcheng (Germany): Swans play on a lake in Rongcheng, east China's Shandong Province, Nov. 28, 2014. 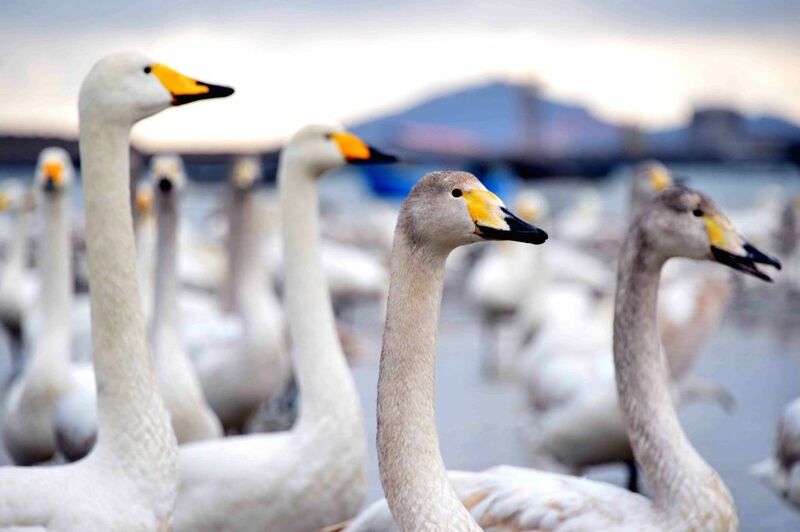 Rongcheng (China): Swans look for food on a lake in Rongcheng, east China's Shandong Province, Nov. 28, 2014.